Tweede Nuwe Jaar, which literally means “Second New Year”, is rooted in the slave history of Cape Town. Slaves were only allowed a single day off work a year, and they used the opportunity to celebrate. 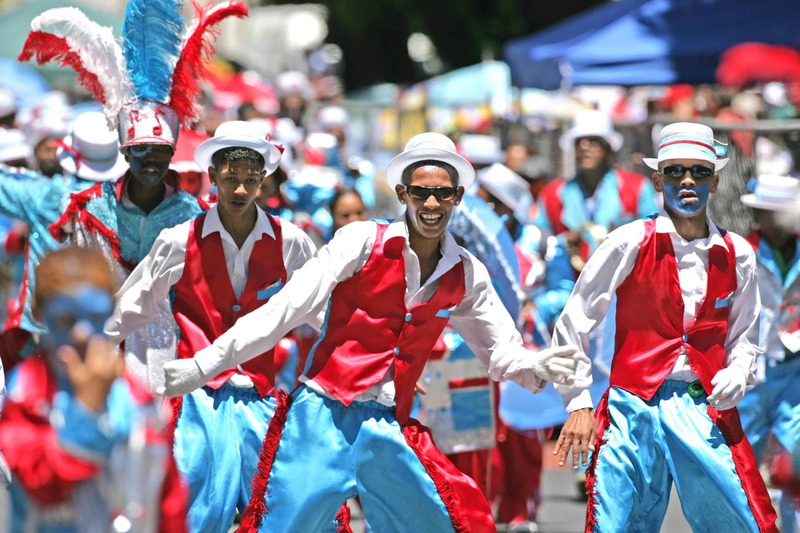 The tradition is alive and kicking today, and the annual event sees Cape Town bursting into a carnival of colour, music, dancing, and parades. Tweede Nuwe Jaar happens on the 2nd of January each year. Tweede Nuwe Jaar is one of the biggest events in the city, attracting hundreds of performers and thousands of spectators. The performers, known as the Kaapse Klopse, don colourful suits, face-paint, hats, and parasols. They strut their stuff through the streets, with brass instruments and drums, in the traditional ghoema musical style. The centre of Cape Town becomes a huge street party for the day. It’s loud, colourful, and a great deal of fun for the whole family. The performers march their way through many streets in the city, especially in the historic District Six area. It’s not hard to find them: just listen out for the lively music and singing! The Bo-Kaap, Grand Parade, and District Six area are the best places to catch the perfomers in the city. Many of the roads around here are closed at this time of year, so make sure you plan your transport ahead of time. Once the march comes to an end, the troupes and various Cape Malay Choirs head to the stadium Green Point where the competition for the winning troupe begins in earnest. The battle for much-coveted honours stretches out over several Saturdays in January. See pics from the Tweede Nuwe Jaar celebrations and share your own using #lovecapetown!